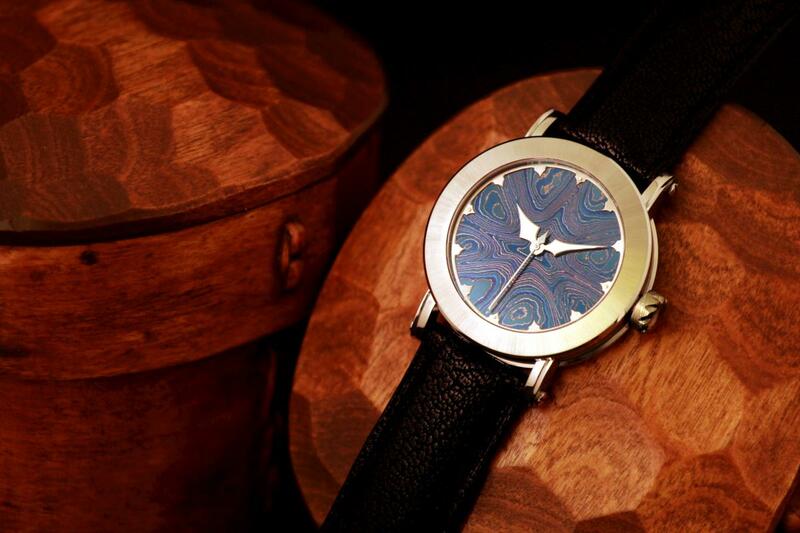 Bifrost Isblå is the first model in our new Bifrost collection that features Johan Gustafsson's newly developed "high contrast" stainless damascus steel. Bifrost is the poetic name of the sacred rainbow bridge in Norse mythology. The rainbow bridge was thought to connect the earth (Midgård) and the realm of the gods (Asgård). 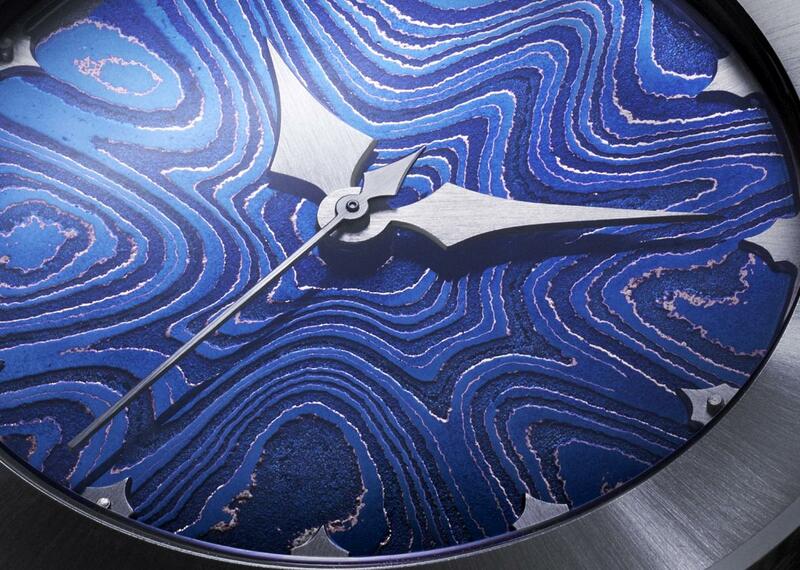 GoS tempered damascus steel dials require natural light to generate their dynamic colors, much in the same way that a rainbow appears only when light shines through the moist air. 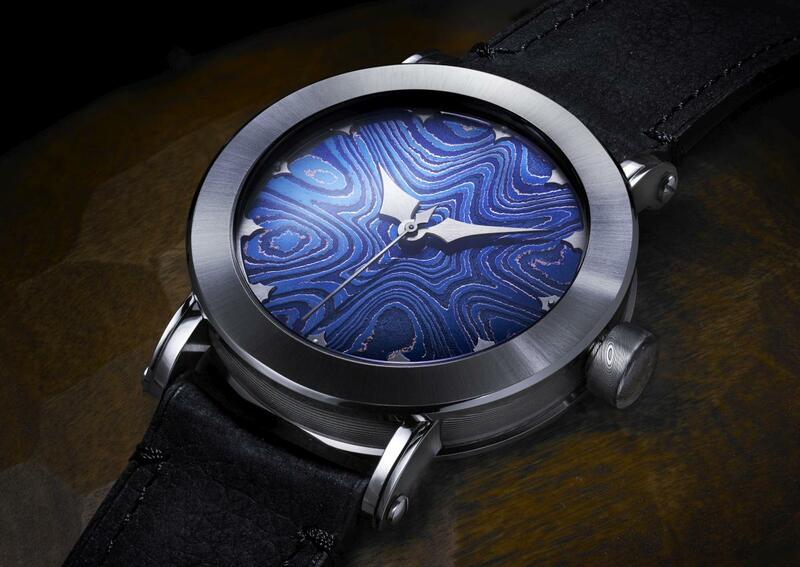 Isblå is the first model to be featured in the Bifrost collection and captures the blue nuances that can be found in thick ice. 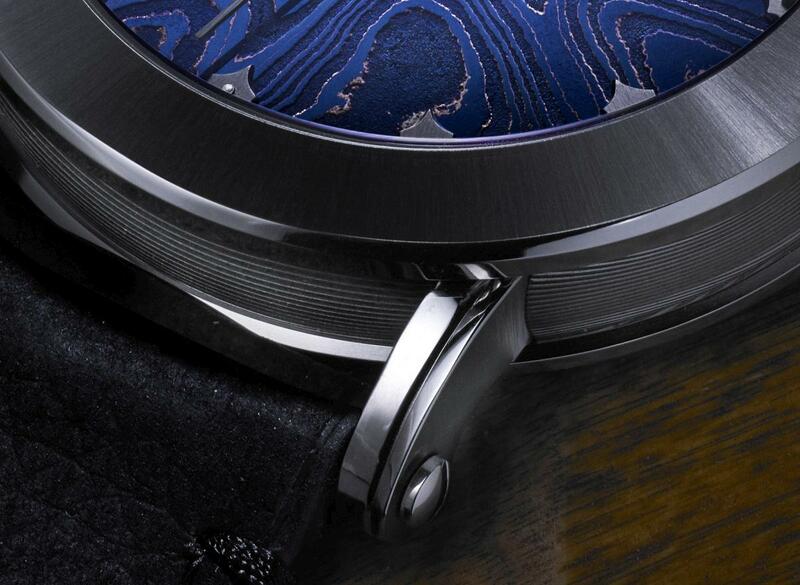 Every watch is a unique piece and is numbered in sequence and every Bifrost model is limited to 25pcs and will be followed by further color themed models. We are very excited about the "high contrast" stainless damascus steel which Johan Gustafsson invented and refined the creation process during the autumn of 2013. This material gives us another edge on our previous models with the ability to have a more defined pattern on the cases and other details. There are only a handful of bladesmiths who have succeeded in making pattern-welded stainless steel. However, Johan has taken it to the level where he is now able to create the same kind of dense and expressive patterns in his new stainless damascus steel as when he is working in carbon based steel. 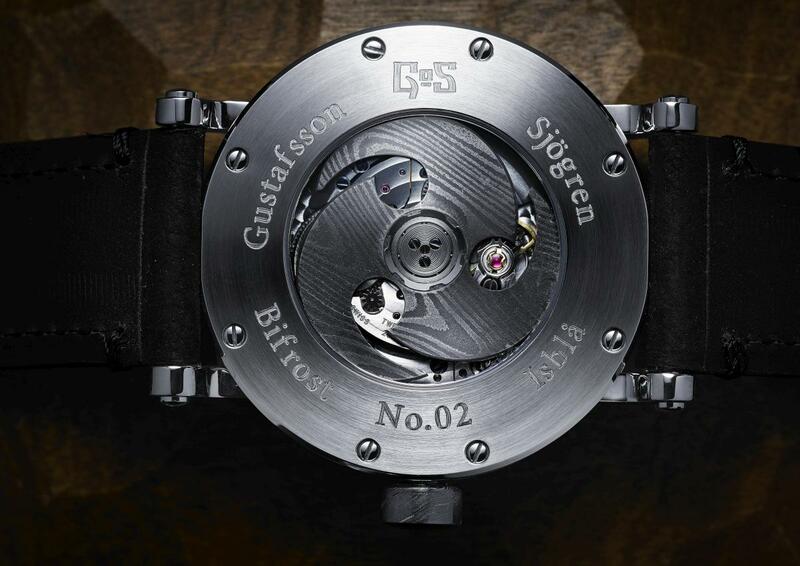 The Bifrost collection use the new steel in both the case and the rotor, which is shaped as the GoS triskele symbol. 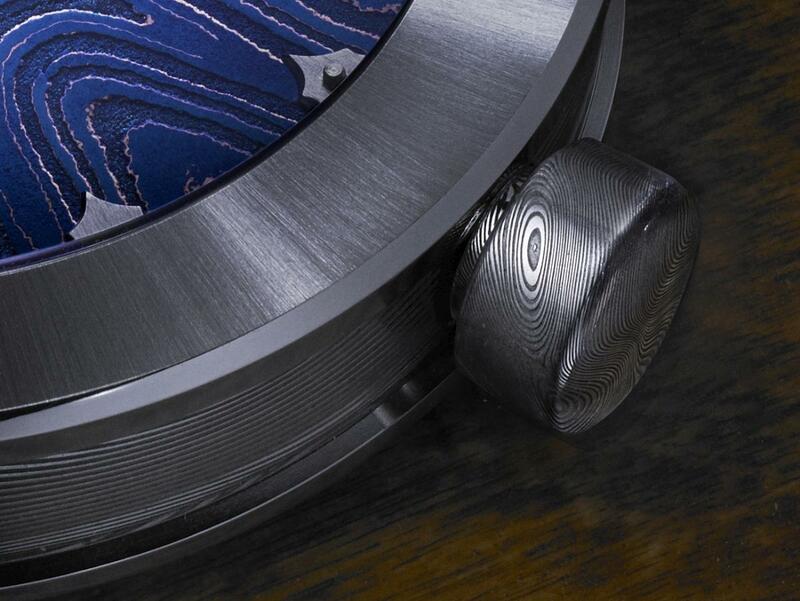 The design of the case and case back is such that the weight of the rotor will be hidden, showing only the movement and the triskele damascus steel rotor. The GoS triskele is a triple blade shape with a design that is loosely based on triskele symbols that are common in ancient Nordic and Celtic symbols. One of the most famous of these symbols is the interlicked triple horn that symbolise the god Oden (and his drinking habits). 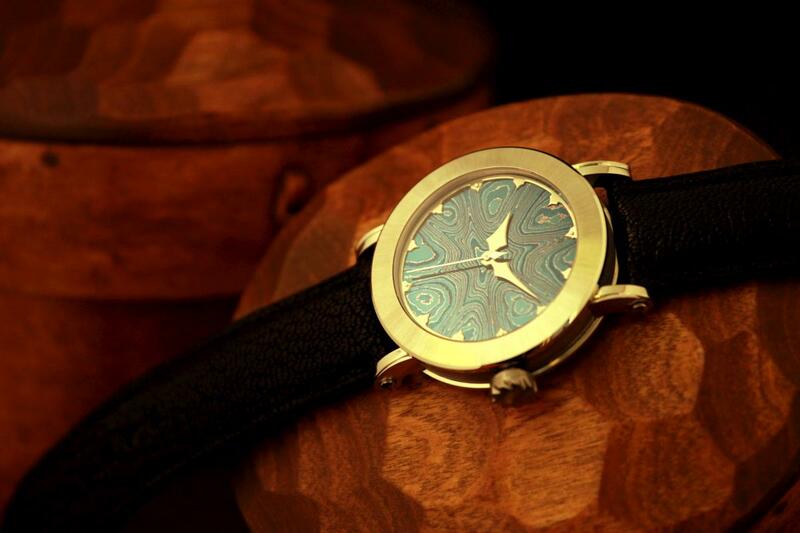 The watches are delivered in a presentation box that is individually crafted in traditional Scandinavian techniques. Movement refinement: Finished with circular Geneva stripes and specified to chronometre grade. 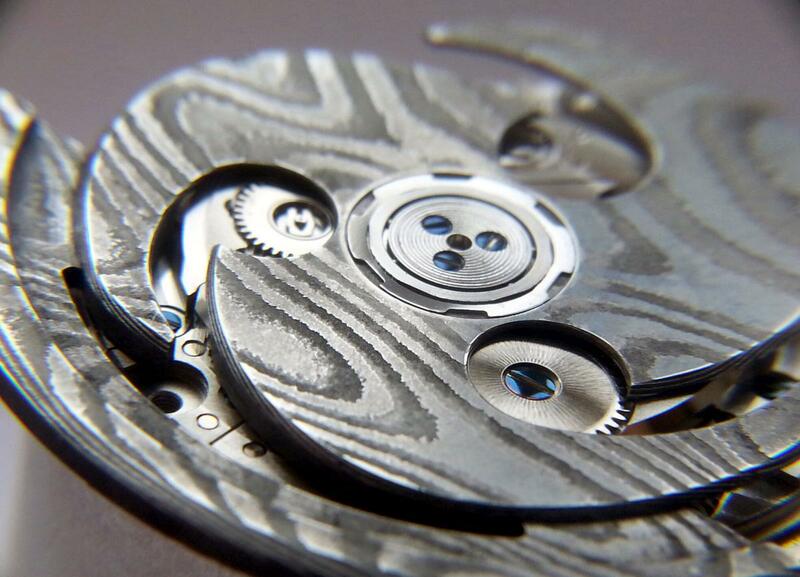 Case finishing: "High contrast" stainless damascus steel, high gloss polished with GoS logo engraved on case side. Bifrost Isblå has been sold-out and the model has been discontinued.